Whale watchers were treated to quite a show off Dana Point this week. SAN DIEGO (CBS 8) - Whale watchers were treated to quite a show off Dana Point this week. 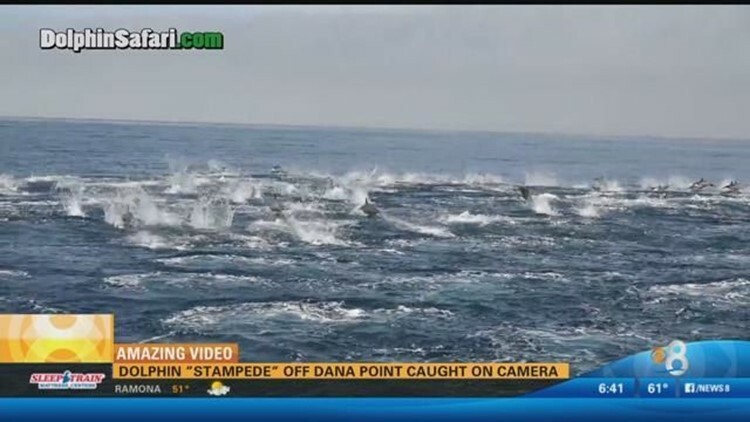 CBS News 8 received video of a boat crew who caught hundreds of dolphins on camera leaping in and out of the water. In his video report, CBS News 8's Brandon Lewis has the details on what experts are saying about the incredible sight.